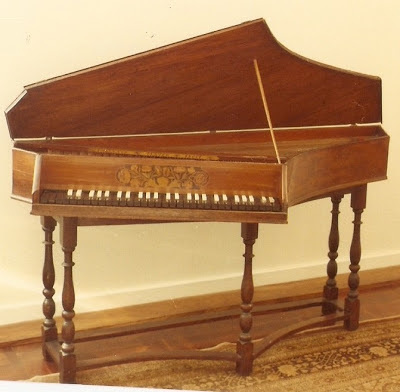 Collection of 19 antique keyboard instruments in Wits University ZA, including Harpsichords, Clavichords, Spinets Ottavinos Hammerklaviers, Glasschord. Nameboard inlaid with tulips and carnations issuing from foliate cornucopias. Compass is lacking GG# and AA# but having split C# and D# in octave above. Arcaded naturals. Walnut case. 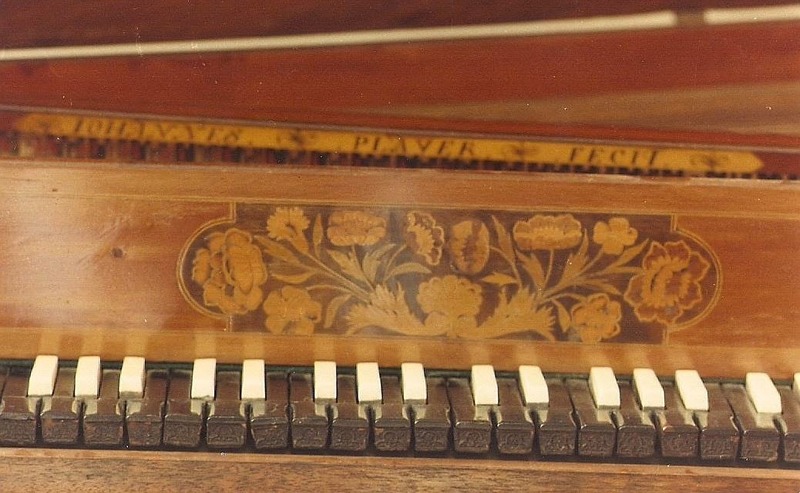 It seems very likely that the description of this spinet's split keys in its lowest octave actually conflates two distinct though superficially similar-appearing practices. Broken-octave (or the similar short-octave) keyboards used a mixture of reassigned pitches and split sharp keys to provide the bass notes that would be required in a given piece. This allowed construction of a slightly smaller instrument than would be needed to accommodate a fully chromatic bass octave. Typical tuning might be E playing C, the front half of the F♯key playing D; the (less accessible) rear half of the F# actually played F♯. The front half of the G♯ key would play E, and the rear half, G♯. Individual notes could be retuned as needed for particular pieces. 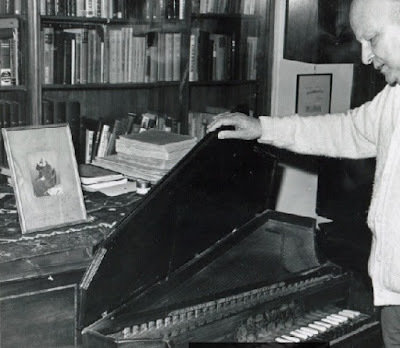 On the other hand, dedicated keys for quarter tones were associated with the sixteenth- and seventeenth-century cimbalo cromatico, which also used split keys but typically had sixteen to nineteen notes (i.e. keys, jacks, and strings) per octave throughout its compass. The split keys are typically d-sharp/e-flat, g-sharp/a-flat and sometimes a-sharp/b-flat. Split keys for all accidentals yields 17 notes per octave. If e-sharp/f-flat and b-sharp/c-flat are added 19 notes per octave are required. 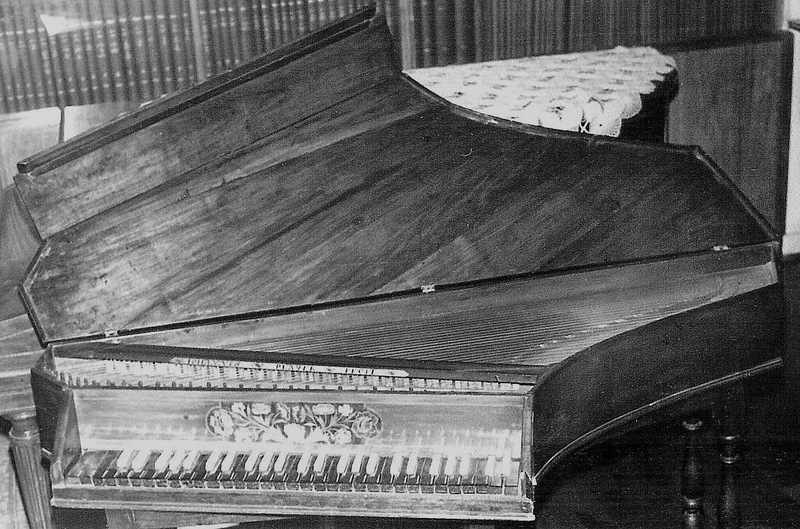 There were even instruments proposed that would have had 24 notes per octave. These instruments were built to provide the enharmonic pitches ("quarter tones") that would be necessary to modulate comfortably using mean tone tuning. *The curious tale of Maurice Ravel's Frontispice composition!